Understand ratio concepts and use rate reasoning to solve real-world problems. Create an engineered model limited by criteria and constraints and designed to achieve the task of solving a complex problem. Index cards or sticky notes of varying colors to serve as "rock samples"
Students are being asked to design, build, and program a robotic rover capable of identifying various colors on a designed terrain. This will require using the color detection tool and being able to program the rover to go a certain distance using circumference, rotation, and distance. This lesson can be completed individually or within a group, although groups of two to three students of varied skill level are recommended. The students need to have completed enough practice programs with their assigned robots to understand how to make their robots move straight for a distance using wheel rotations. The students will be applying their knowledge of ratios and rate reasoning to determine the appropriate number of rotations for the distance required in the challenge. Be sure to construct the map/course for the challenge in advance, as per the examples attached. Students can explore adapting their maneuvers to slow their rover as they approach samples of interest. Sampling rocks using the drill is a very delicate and complicated process, so the rover will need to gently approach and analyze the rocks. 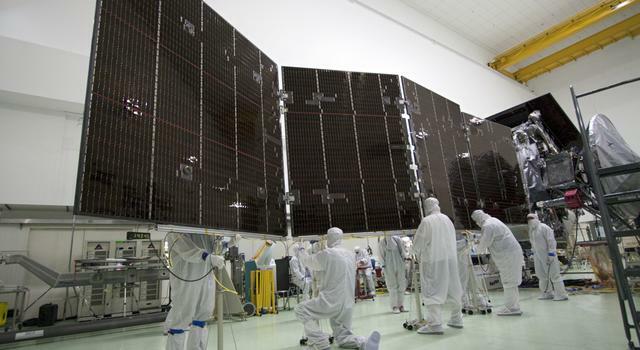 Since 2012, The Mars Science Laboratory rover, or Curiosity, has been driving around Mars, collecting information about the Martian terrain and sending us data about the planet. While you may be familiar with some of the images sent back to us, Curiosity also has several more advanced techniques for uncovering the mysteries of Mars. The rover carries a multitude of tools to help us better understand the geology of the Red Planet. 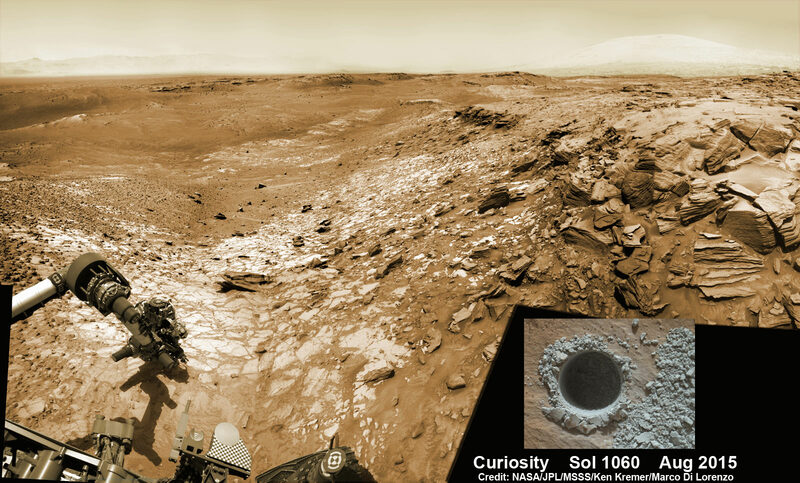 One such tool is a drill capable of boring a small hole into rocks, leaving a fine powder behind, which the rover can use to analyze and identify the rocks. Another instrument, called the Chemistry and Camera instrument or ChemCam, fires a series of laser pulses at the target rock exciting electrons and causing them to emit light based on their chemical composition. It then collects the light, directs it to a spectrometer and identifies the elements in the rock. ChemCam can image and determine the composition of rocks that are between one and seven meters away. Students will simulate this analysis technique with their rovers, programming it to drive near various targets of different colors that represent rock samples of interest. Students’ rovers will need to be able to detect which rock color has been identified, and indicate the finding via light and/or sound. 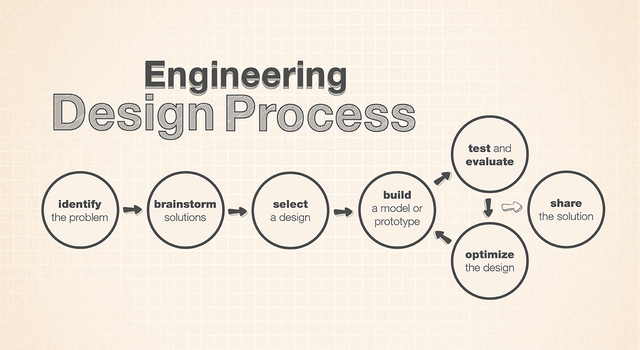 Familiarize yourself with the engineering design process (shown in the graphic below) and use the following description to frame the challenge for students. 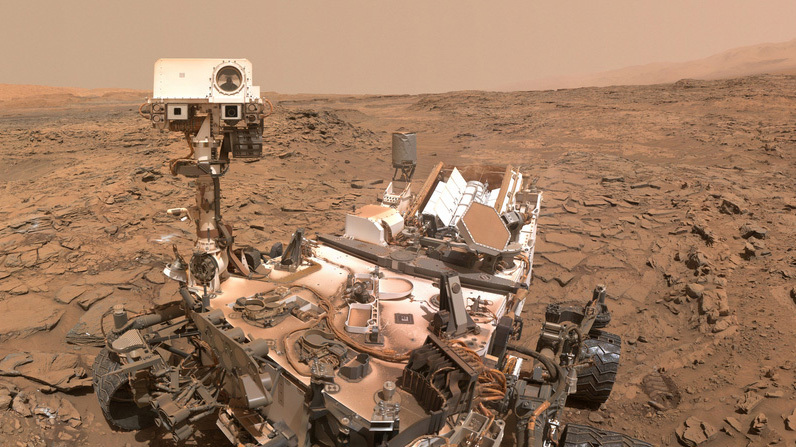 The Mars Science Laboratory rover, Curiosity, carries a tool it uses to study Martian rocks called the Chemistry and Camera instrument, or ChemCam. It works by firing a series of laser pulses at the target rock, exciting electrons and causing them to emit light that reveals their chemical composition. ChemCam then collects the light, directs it to a spectrometer and identifies the elements in the rock. It is able to image and determine the composition of rocks that are between one and seven meters away. To simulate this analysis technique, you will program a rover to drive near a scientific target of interest and identify the nature of the target via a light and/or sound alert. You must program the rover to travel in a straight line while identifying colors. You must program the robot to use the color sensor. The rover must identify all colors correctly with minimal pauses. The program and rover should turn at the boundary of the map. Measurement devices, like metric rulers, measuring tapes or meter sticks are not permitted. The rover will make three, parallel, random passes across the map. During specified hardware practice times, users may perform off-course test runs, calculate changes as needed and determine when turns are needed to navigate the official challenge. Another portion of time may be provided for software programming only. Once the challenge begins and the program has begun, users may not touch the rover without penalty until it finishes the third sweep. Color sensors are to be used for identification. Show students the playing field designed. Take questions from students regarding the challenge. Monitor student teams for teamwork and to make sure all team members are actively engaged in the challenge. Note: Students will tend to gravitate toward their interest and comfort areas. Though a balance of strengths in a team is important, make sure all team members get some experience with all aspects of the challenge: brainstorming, designing, building, programming, troubleshooting and presenting. When time is up, or as each team is ready, have them run the course. Have other teams serve as judges and scorekeepers for each run. Due to the variety of solutions and student skill levels, groups may finish at different times. Students who finish early can explore the extensions section below or add features to their robot such as messages on screen, flashing lights, sounds, etc. After all the students have completed the challenge, provide teams with time to create a reflection about their challenge and design-process experience. Reflections should include a component for academic language and detail the obstacles faced and how students arrived at solutions. These reflections can take the form of a written sample or class presentation. What did you try that didn’t work out? How many times did you try it? What did you do when things didn’t work out like you expected? If given access to more parts or sensors, how would it change your design? If given more time, what would your next step look like? What obstacles did you or your group face in this challenge? How did you and/or your group confront these obstacles? What was your favorite part of the engineering design process? What do you think you have learned from this process you didn’t know before? Drawing clearly marks key features of the prototype critical to the function and meets the needs of the problem. Description fully discusses all components of the prototypes and how they address the needs of the problem. Drawing clearly marks key features of the prototype critical to the function and meets most of the needs of the problem. Description discusses components of the prototypes and how they address the needs of the problem. Drawing marks a couple key features of the prototype critical to the function and meets a couple of the needs of the problem. Description discusses components of the prototypes. Drawing marks a key feature or two. Description and design reflect only the personal interests of the group. Reflection fully acknowledges the need to fail and make multiple iterations, yet is still forward thinking to the next steps of the design. Reflection fully acknowledges the need to fail and make iterations, yet is still forward thinking to the next steps of the design. Reflection fully acknowledges the need to fail and make iterations and there are next steps but these are undefined. Reflection discusses the success of the first or second prototype and points to this as the final product. Reflection fully acknowledges the obstacles during the process and provides concrete examples of learning as a result of these obstacles. Reflection acknowledges the obstacles in the process and provides a concrete example of learning as a result of these obstacles. Reflection acknowledges the obstacles in the process and makes an unspecified claim about learning as a result of these obstacles. Reflection discusses the success without mention of obstacles or learning opportunities. This material is based upon work supported by the NASA STEM Educator Professional Development Collaborative at Texas State University under the NASA cooperative agreement award number NNX14AQ30A.